IT is utterly irresponsible and preposterous for anyone to insinuate the unfortunate fire that occurred on Monday is in any way associated with the Government’s plans for the San Fernando waterfront re-development. Planning and Development Minister Camille Robinson-Regis, in a media release today via the ministry’s corporate communications unit, said the claims of the Government attempting to move settlers for the development were unfounded. She expressed sympathy for the losses and said the authorities were looking into the matter. The release said: "One of the key projects is an upgrade of the fishing facilities to that of a leading world status for comfort and health of patrons. The minister reiterates, that to think to make this development happen we will resort to arson is ridiculous, irresponsible and groundless." 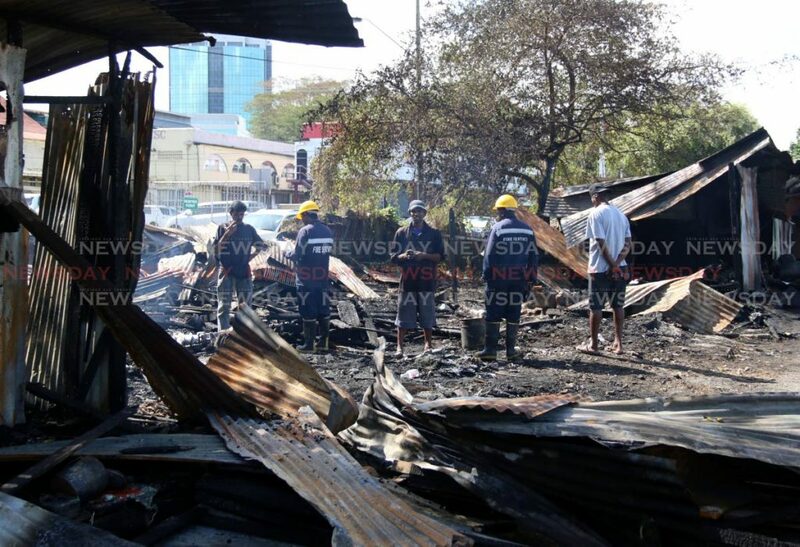 The comments were in relation to claims made by the president of the San Fernando Fishing Co-operative Society Salim Gool on Monday about the fire on King’s Wharf which destroyed 11 shacks. Gool told Newsday he believed there was a great possibility the development had something to do with the fire. Other fisherfolk shared the same view. "On Monday January 2, the Urban Development Company of T&T (UDeCOTT) invited members of the fishing community to attend a consultation meeting to discuss the development of a fishing facility at Hatter’s Beach in San Fernando, Mr Salim Gool, was not in attendance to share his views then," the release said. The minister said the project was the flagship project in the south of Trinidad and was one of the largest regeneration projects to date, with the aim of reviving the economic, social and cultural vitality of the city of San-Fernando and its environs. This "transformative project" includes opportunities, she said, for international and local tourism, expansion of the business sector, improved transportation facilities, development of leisure facilities, increased family-oriented spaces and activities as well as the preservation of historical assets, amongst others. At the heart of this project, is the aspiration of green growth, led by the city of San Fernando. The project is expected to include the reclamation of land at King’s Wharf North, at a cost of $57 million with a target completion date of November 2020, the construction of a mixed-use development inclusive of medium-income housing at Lady Hailes Avenue utilising public-private-partnership arrangements, the establishment of a small fishing facility and jetty along Hatter’s beach, among other things. The fire is believed to be as a result of arson. The affected residents said they lost thousands of dollars worth of fishing equipment and other personal items in the shacks used as storage facilities. A van and car were also scorched, and they want the Government to compensate them. Reply to "Planning Minister: Ridiculous to link Govt with Sando fire"